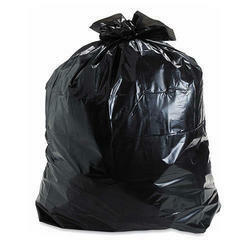 A garbage bag or trash bag is a disposable bag used to contain rubbish or trash. Such bags are useful to line the insides of waste containers to prevent the insides of the receptacle from becoming coated in waste material. Most bags these days are made out of plastic, and are typically green, red, yellow or black in colors. Plastic bags are a convenient and sanitary way of handling garbage, and are widely used. Plastic garbage bags are fairly lightweight and are particularly useful for messy or wet rubbish, as is commonly the case with food waste. We use to cater all sorts of garbage bags available in various colors. We provide customized size, printing, color & bio-degradable quality available. We are counted amongst the leading manufacturers and suppliers of varied range of Tamper Proof Bags. These are used for the safe transit of confidential documents and valuables. Apart from this, these are used for keeping evidence for Police services, examination papers, diamonds and precious metals, foreign exchange, election papers, cash in transit companies etc. Material used in manufacturing of these bags is of superior quality. Designed in accordance with the international standards, we offer these bags in customized size and design as per client requirement.